This dress shirt is being sold at a reduced price as it has been removed from its original packaging. The shirt is still brand new, but because it has been removed from its packaging, and then been folded and repackaged, we do not sell them at full price anymore. 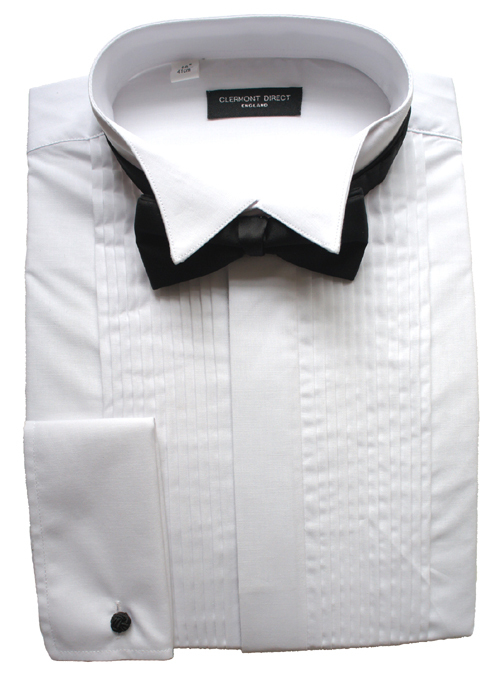 This wing collar dress shirt is manufactured from a 100% fine white cotton. The shirt has a pleated box front, covered buttons and adjustable double cuffs. Shirt Collar Size: Please Select14.5"15.5"16"16.5"17.5"18"18.5"